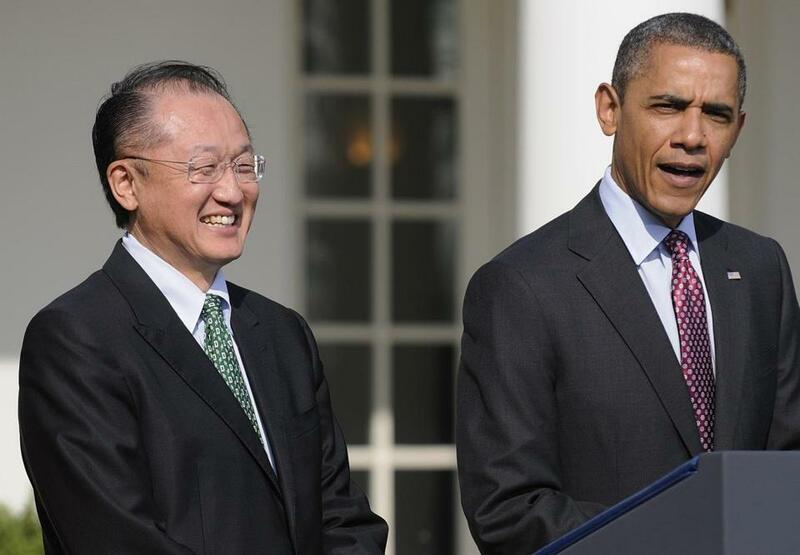 President Obama announced Jim Kim as his pick to head the World Bank last month. WASHINGTON (AP) — Jim Yong Kim, an American who is president of Dartmouth College, has been chosen to be the next president of the World Bank. His selection Monday extends the U.S. hold on the top job at the 187-nation development agency. Treasury Secretary Timothy Geithner praised the selection, saying Kim ‘‘has a lifetime of experience solving complex problems.’’ He said Kim ‘‘will help breathe new life into the World Bank’s efforts’’ to promote economic growth around the world. Kim was in Lima, Peru, on Monday — the latest stop in a global tour that has taken him to Africa, Asia and Latin America to try to build support among developing countries. He and the other candidates were interviewed by the World Bank’s board last week. In his statement to the board, Kim said he had worked throughout his career for ‘‘reform and change’’ and would continue those efforts at the World Bank. But Kim’s nomination had won widespread praise because of his extensive experience in working to improve health in the poorest countries. In the 1990s, Kim defied skeptics to find a cost-effective way to fight tuberculosis in the slums of South America. He also began a program that has treated millions of Africans for HIV, the virus that causes AIDS. ‘‘He will need to dispel any notion that he is there to serve the interests of the U.S. rather than the interests of developing countries,’’ Prasad said.